The Lonely Hearts Killers, Martha Beck and Raymond Martinez Fernandez, were executed in the electric chair at Sing Sing Prison in New York. 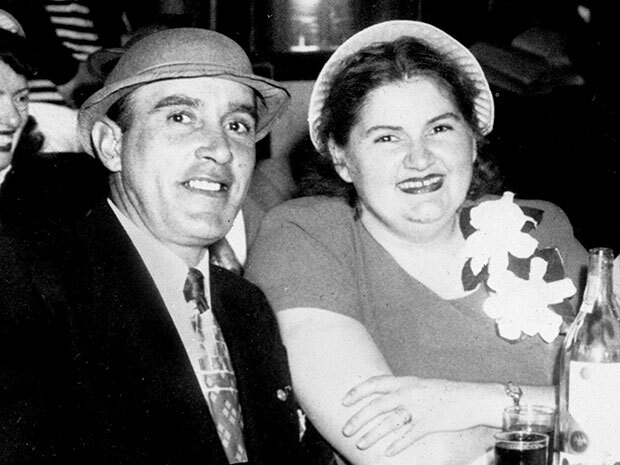 The strange couple had schemed to seduce, rob and murder women who placed personal ads in newspapers. 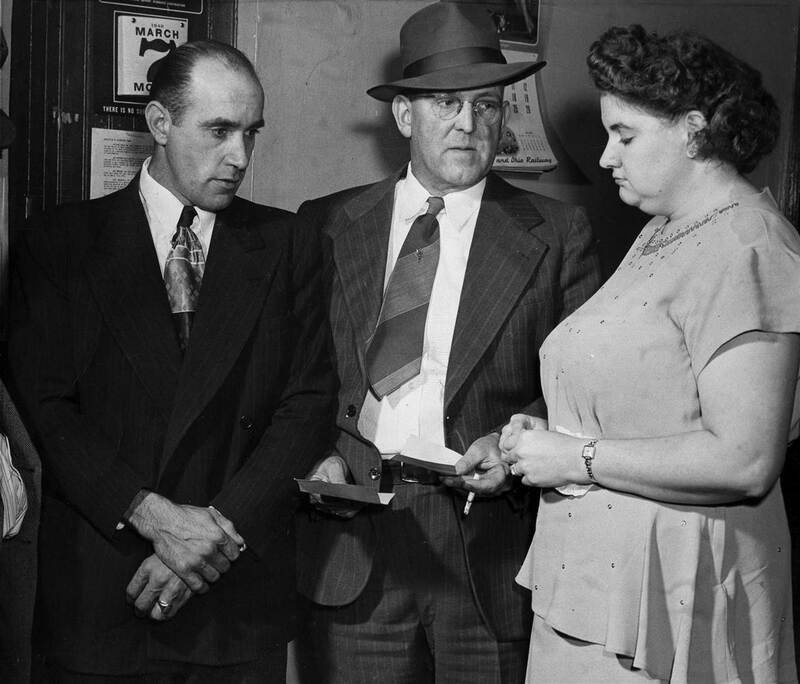 Beck and Fernandez boasted to killing as many as seventeen women in this manner, but evidence suggests that there may have been only four victims. 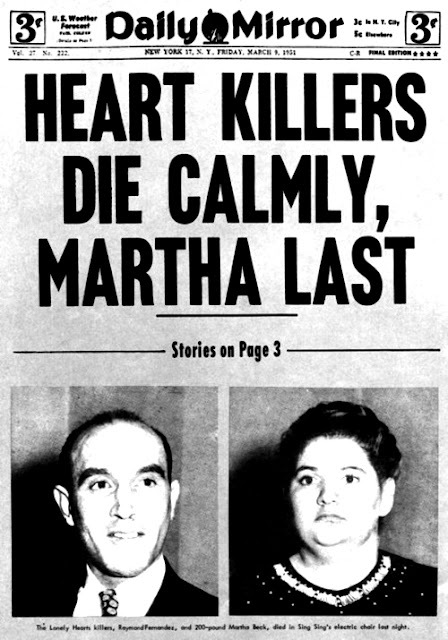 Martha Beck was an extremely overweight, and by all reports, unattractive woman when she joined a lonely hearts club advertised in a romance magazine. Her first letter came from Ray Fernandez in Brooklyn. After World War II, he suffered a serious head injury in an accident that left him bald and with serious headaches. He became a petty criminal and wore a cheap black toupee to cover up his baldness. He convinced himself that he had a power over women that could turn them into his sexual slaves.